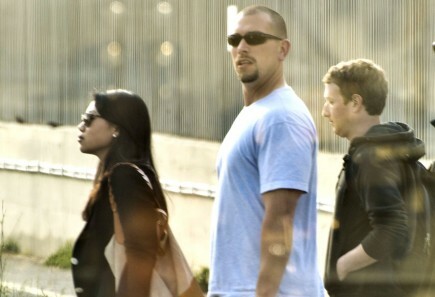 Their wedding day may be over, but Mark Zuckerberg and Priscilla Chan’s adventure has just begun! The two newlyweds were spotted in Italy enjoying their honeymoon out on the sea, says People. The Amalfi Coast tends to be a popular destination for many celebrity honeymooners, such as Reese Witherspoon and Kim Kardashian. The open sea and beautiful landscape gives newlyweds a chance to partake in a variety of activities. What are some thrilling activities you can partake in on your honeymoon? 1. Take a surf lesson: Learning something new gives you and your mate a chance to help each other out. You’ll both be a little out of your element, but it will be fun to make mistakes together and watch the other succeed. 2. Go bungee jumping: Doing something completely out of your comfort zone gives each of you a chance to show your support for the other. Helping each other overcome a fear is rewarding in itself and will inevitably bring you closer together. 3. Get immersed in the culture: Heading to Hawaii? Go to a Hula Dance performance. Off to Italy? Enjoy a delicious pasta dinner. Taking advantage of your travels and exploring a different lifestyle together will give you and your new partner something to remember for ages. Did you have an adventurous honeymoon? Tell us your story below.